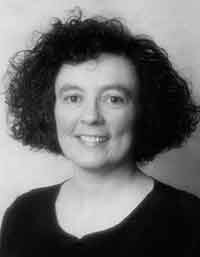 Nancy Galbraith has been active for over two decades as a composer of music for symphony orchestras, wind orchestras, chamber ensembles, choral ensembles, and keyboards. Her distinctive American style employs an exotic array of postmodern and postminimalist elements including lyricism, polyrhythm and diatonic harmony. Her work has been praised for its energetic combination of melody and rhythm, its bright orchestral palette and lyrical finesse. Her compositions are performed and broadcast worldwide, appear on over a dozen recordings, and enjoy frequent critical acclaim along with enthusiastic audience approval. She currently resides in Pittsburgh, Pennsylvania, USA, where she is Professor of Composition and Theory at Carnegie Mellon University, and Music Director/Organist at Christ Lutheran Church.